Every day, we open our Facebook and see the updates from our friends and the pages that we have LIKED on Facebook. We LIKE, comment and share the updates in the news feed. The updates we share appear on our Timeline. Given the fact that we check our News Feed when we sign in to Facebook, it would be a big surprise if a new change comes to Facebook News Feed. What is the new change in Facebook News Feed? The new changes are known as “Story Bumping” and “Last Actor”. These changes aim at ensuring that any update on any page you follow or anything your friends share does not miss your eyes. What are the functions of these changes? The functions and descriptions of Story Bumping and Last Actor are as follows. 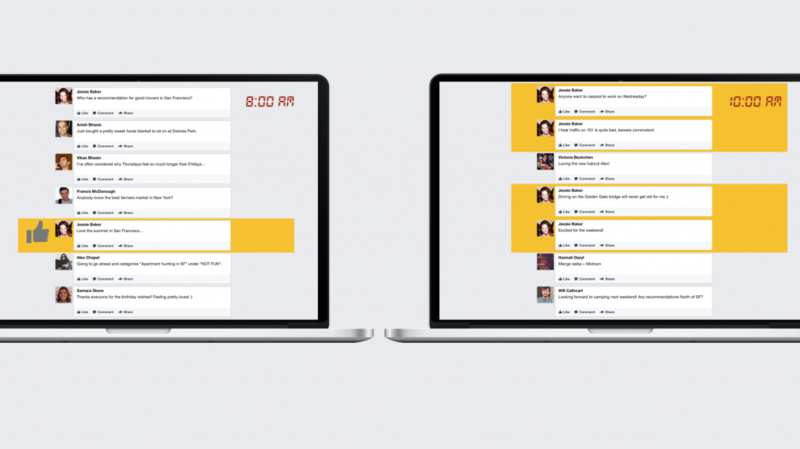 Story Bumping allows engaging posts you have not seen to be bumped up to the top of News Feed later in the day. Story Bumping is an Organic Ranking factor. Each visit, Facebook looks at all of the new content and creates corresponding scores. 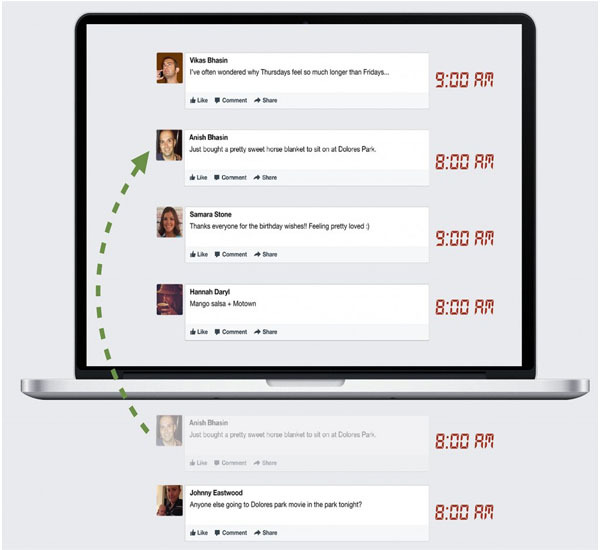 Time Decay on Facebook means that a post is 3 or more hours old. Story Bumping makes it appear on top for users who are interested in those kinds of posts. What can we do to make it so people aren’t missing these important stories? Maybe the position 1 and position 2 stories were a little bit better, but that story that was just below the fold, we really would’ve preferred to see that rather than (another story) … which just happened to be the newest thing. So we had this idea, “Let’s change the model slightly.” Before, I said, whenever you come to feed, we’re going to take all the stories that are new since your last visit and put those at the top. Let’s just tweak that a little bit, and instead of taking all the new stories, we’ll take all the stories that are new to you. Facebook had tested Story Bumping among 7,000 daily active users in July. With Story Bumping in place for these users, there was a five percent increase in stories seen from friends, an 8 percent increase in stories seen from pages, and a jump from 57 to 70 percent in overall stories read. Facebook also tested it with 80 percent of its own employees. According to Backstrom, there was only one complaint. It would help in analyzing that how quick a post dies on Facebook. Last Actor takes into account the last 50 engagements a user has performed, and gives those users a slight bump up in News Feed ranking. This change was less impactful than (Story Bumping), but still a nice change for feed relevance. So how does this work? Essentially what we wanted to do was try and capture your current state of mind as you’re consuming News Feed and using Facebook. A lot of the important symbols that we have in feed ranking are kind of long-term things: what’s my relationship to my friends and that kind of thing. We wanted to make this more real time, “What am I consuming right now?” So we built this new signal where we take into account the most recent interactions that they’ve had. Last Actor counts friends as well as pages while counting your last 50 interactions. Do Story Bump and Last Actor help you in keeping abreast of all activities that you missed while you were offline? What feedback would you like to share about these changes in your News Feed? Post your comments.